I'm sure some of you are familiar with Pam of CookieCrazie. She designed a new chrsitmas tree cutter that you can get over at KarensCookies. 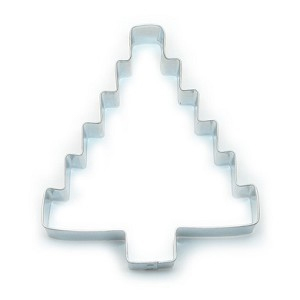 I got this cutter in my amazing bag of goodies from CookieCon the beginning of this month. It was so much fun & I got to meet so many wonderful cookie artist. Guess this means it is time to get into the Christmas spirit. 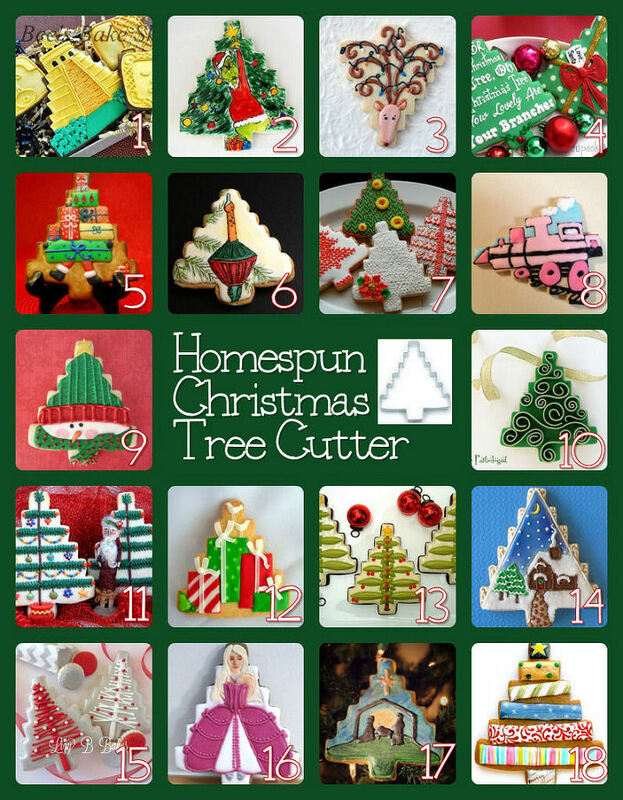 You have to check out the others take on the Homespun Christmas Tree Cutter. Pretty AMAZING I say so myself. i love your trees! especially your bow! so perfect. 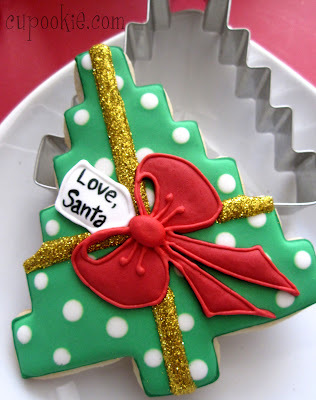 Love your beautiful cookie, Andrea! 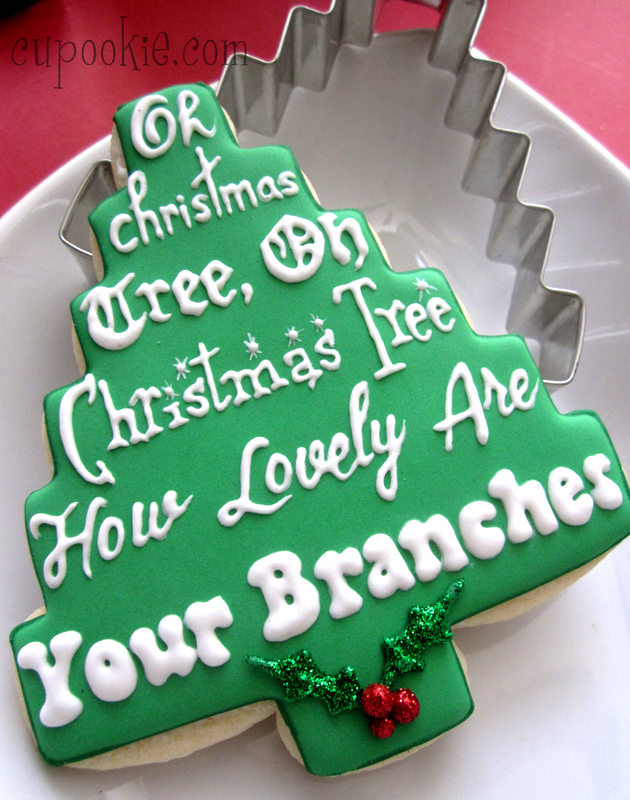 I think these trees are perfect for putting writing! Thank you so much everyone. It was a pleasure participating in such a fun cookie project. 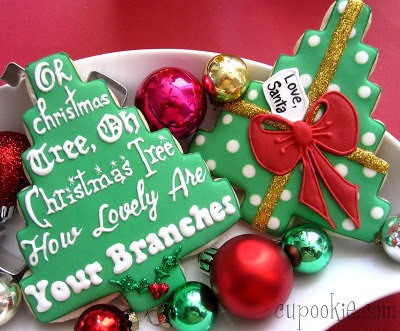 This is so beautiful - love the gold ribbon on the tree! And the piping...wow - AMAZING! I'm in awe!!! These are soooo pretty! Both of the cookies are beautiful . . . love the bow and your lettering is amazing!! !